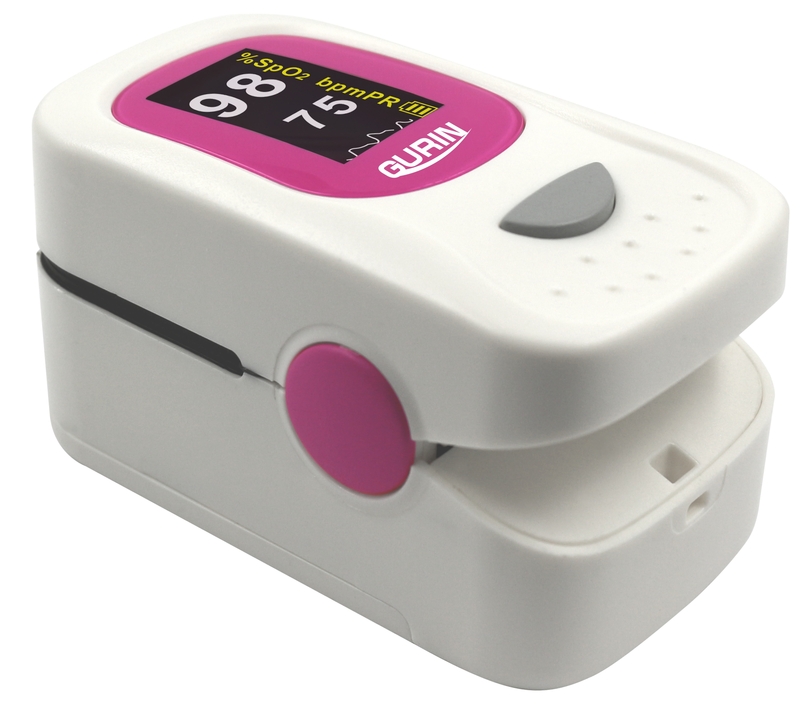 Bright Color OLED display shows real time Pulse Rate Plethysmograph of strength of pulse, Pulse Rate, SpO2 level and Battery level. Built-in alarm can be set to High and Low. Battery life of thousands of readings plus automatic power off. Deluxe features include an easy to read bright color OLED display, 30+ hours of continuous monitoring on one set of batteries. Integrated SpO2 probe and processing display module plus Pulse Rate and Plethysmograph wave that measure pulse strength. Battery level indicator. Battery level indicator. Auto power off. Low power consumption on 2 AAA batteries. Comes with a hanging neck/wrist strap and case for use on the move. 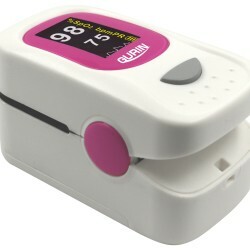 Intended use for spot check of pulse rates and blood oxygen saturation level at home, in sport and recreational use, such as mountain climbing, high-altitude activities and running. It’s not a medical device, This device is for Sports & Aviation use only.